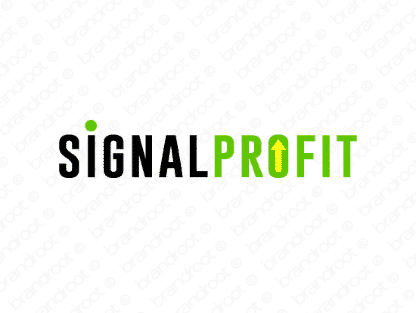 Brand signalprofit is for sale on Brandroot.com! A fantastic blend of "signal" and "profit" that promises lucrative new business ventures. Signalprofit offers diverse appeal for financial and business focused brands, perfect for investment and capital groups, business consultancies or sales analysts. You will have full ownership and rights to Signalprofit.com. One of our professional Brandroot representatives will contact you and walk you through the entire transfer process.